The Tag Field action allows you to mark a specific edit field as the starting field for each record displayed. This is especially useful if you need to change one or two fields on a series of records. 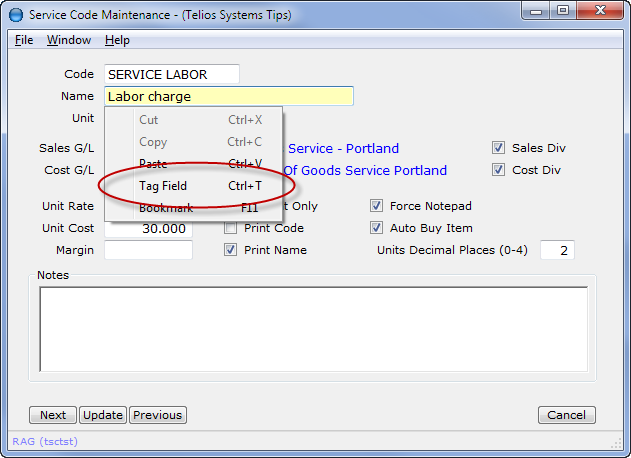 To Tag a field, press CTRL-T or select Tag Field from the contextual menu (right-click). 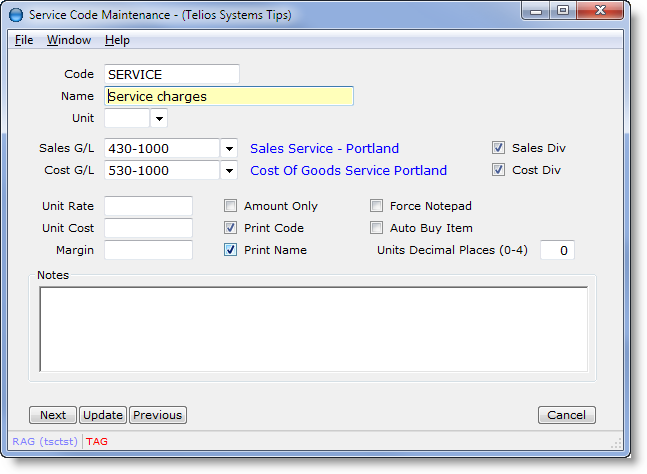 A label will display on the status bar at the bottom of the window. When Tag is ON, the label will display in red. When it is turned off, the TAG label will turn gray. To turn Field TAG OFF, press CTRL-T on the same field or left-click on the red TAG label on the status bar. To change the tagged field, move the focus to another field and press CTRL-T or click TAG on the status bar.